Not all clothes can handle the dryer, but in the jumbled up mess of the laundry, those sneaky clothes somehow manage to make it in there anyway. I had a sweater once (that fit), and could now nicely fit into the wardrobe of my daughter’s American Girl doll, Gabby. Oops! Lessoned learned — don’t buy clothes that can’t handle my laundry skills. 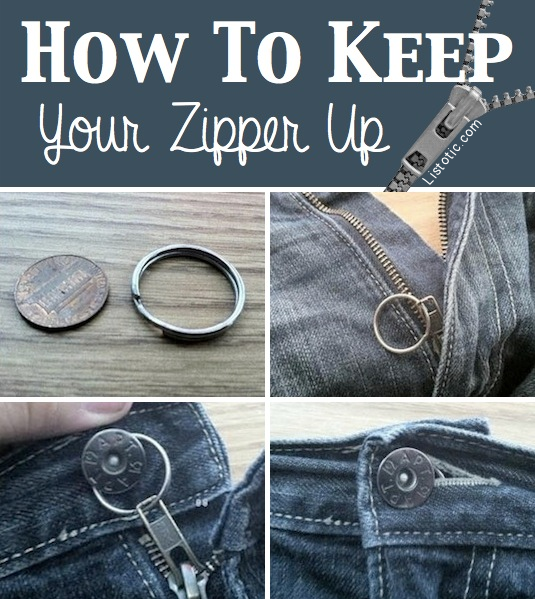 Hey, but did you know there is an easy way to “unshrink” them?! It doesn’t require going out and buying some special product, either. Go get the instructions here! A slimming trick! Just about every girl could use this. 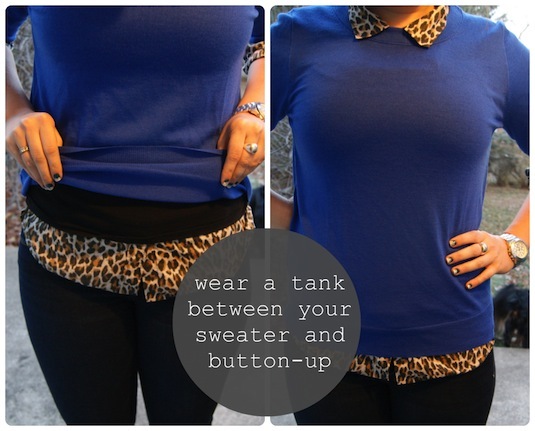 Wear a form fitting tank top between your sweater and button-up shirt to keep your mid section from looking frumpy. This is especially helpful if the button-up is a bit baggy, as the tank will press and flatten it against your torso, hiding bunched up fabric and the outlines of the buttons.